That worked a treat, as you can see here, where the company halved the size of the detergent containers and jacked up the price anyway. Now store owners who close their stores rather than lose money are going to be thrown in the slammer. Prime Minister Scott Morrison repeatedly told Parliament, swinging his arms as if holding a baseball bat, that if electricity retailers failed to cut their prices he would hit them with a “big stick”. His ultimate threat is, do as we say or we will break you up. Barnaby Joyce has called for forced divestiture to be extended to all industries through a general amendment to the Competition and Consumer Act. Emerson worries that such a law could get enough support in the Senate from the crossbench, and even The Greens, to pass, and then Labor in government may never be able to repeal it. CSIRO and Energy Networks Australia have estimated Australia will need more than $200 billion in energy-sector investment by 2050. As a small, open economy, most of that investment will need to be funded from abroad. The “big stick” of forced divestiture would guarantee that funding never arrives. Much of this investment will be needed in reshaping the grid, which, apart from Tasmania and Queensland has been privatised and is largely foreign-owned. Emerson is right to worry about sovereign risk. 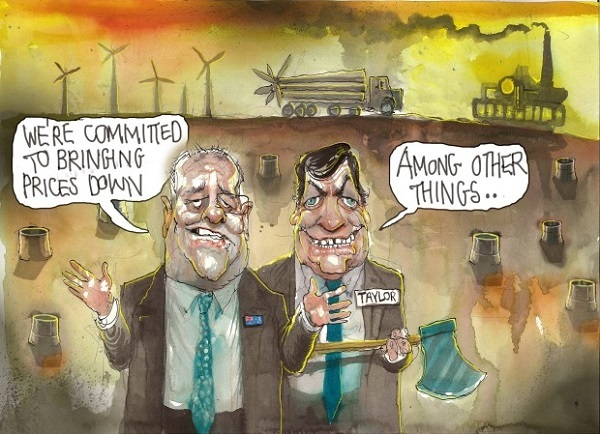 There is no compelling reason why international capital should risk long-term capital where policy has become so erratic and arbitrary, and where ministers fondle coal in parliament. One of those initiatives is the setting of a lower “default” price, although many energy companies and private analysts warn that bringing the price down too low may actually kill competition rather than increase it, and ultimately force prices up for most consumers. Further work on the default price will be prepared for the December meeting, although Victoria (which plans to introduce its own), Western Australia and the Northern Territory noted any such default price would not apply in their jurisdictions. 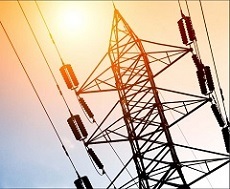 The ministers also agreed that the AEMC – the market rule-maker – should undertake work on the impacts of the Commonwealth’s proposed default tariff on competition issues and customer impacts. It has previously opposed such a price. Meanwhile, the COAG ministers agreed to that the ESB should progress development of Retailer Reliability Obligation, and will return to Council with a final draft Bill for decision in December 2018. The COAG communique also said ministers had asked the ESB to provide advice on a “long- term, fit-for-purpose market framework to support reliability that could apply from the mid 2020’s as the market transitions.” The ESB will report back to Council in December 2018 on a forward work program for endorsement. It will be interesting to see how the ESB treat the scheduled closure of coal power post 2025, but no big sticks as such so far. “We are going to see a 250 per cent increase in wind and solar in the National Electricity Market in the next three years …. That is $15 billion in new renewables, wind and solar, and the result that is that we will see sharp reductions in emissions. That won’t help him with Paris commitments beyond the energy sector, however, a small point routinely ignored. 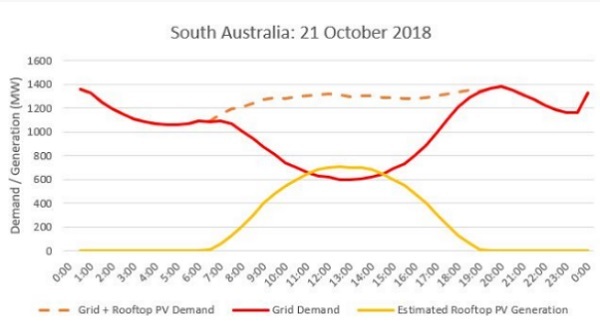 While that was going on, government officials told Senate Estimates that there was no doubt that the influx of wind and solar had brought down prices from where they would otherwise be, and would continue to do so. Monday’s AFR also ran a story about Primo Smallgoods in Brisbane, the southern hemisphere’s largest ham and bacon producer, deciding to install the country’s largest rooftop solar array – a 3.2 megawatt installation covering about 25,000 square metres of rooftop at Primo’s plant in Wacol. The industrial market for rooftop solar is expected to triple next year as more businesses turn the roofs of their factories and warehouses into power plants. By 2050, solar systems installed “behind-the-meter” – generating power on-site that is not supplied from the centralised grid – are expected by Bloomberg New Energy Finance to make the consumer the most influential electricity generator in the country. Solar will by then meet by far the majority of demand during peak daylight hours, with batteries playing an increasing part after hours. In Queensland the Queensland Competition Authority already monitors electricity prices, setting the price for regional users supplied by Ergon, which then becomes a default offering for SEQ. News has just come through that in SEQ prices have now fallen four quarters in a row. Would the ACCC and Mr Taylor explain how this could be when the poles and wires are a government-owned monopoly, two-thirds of generation is state-owned, and the state is going gangbusters installing renewable energy? Energy Security Board chief Kerry Scott seems happy to work with states and says their renewable energy targets are lowering emissions. is calling for a tripartite approach to coal plant closures with no forced job losses, in line with the successful exit from coal mining in Germany’s Ruhr region and in contrast to the disastrous, unplanned retrenchment of coal workers in the US Appalachian region. In Australia states have responsibility for electricity provision. What brings the Commonwealth in is the international Paris Agreement. Since they have split emissions off in a separate ministry and boast that they will meet Paris commitments “in a canter” without raising a finger, they should just relax, do nothing, and release a media statement saying how pleased they are every time there is good news about prices. Signs are, as with the Wentworth by-election, every time they do something they make matters worse. Just get out of the way, please. The almost exclusive focus of pollies and commentators on the energy sector is, as you and Geoff M and John D and BilB and others have said here, foolish and narrow. Jeepers, there are actually up-to-date emissions figures, sector by sector, for Australia. Although routinely ignored, as you say, it is no small point. Thank Planet that other sectors have been altering their practices, regardless of government vacuums policies. ‘ow are you Meester Jumpy? Brian the Good has brought your favourite nation into the mix. Brian: I think that governments have a responsibility to keep essential services such as power and water supply production going even if the companies that produce the service want to shut it down for financial or other reasons. This doesn’t mean that government’s have the right to demand that a company has to bear the costs of government insistence that something has to be kept going. The system for handling essential services needs to have the capacity to start straight away if needed but there does need to be an independent process that allows the decision and ongoing arrangements to be reviewed. This doesn’t necessarily mean that the government should be insisting that AGL keep the Liddell power station to keep operating forever. The stationary energy (i.e. electricity generation) sector is the easier (but not easy) sector to rapidly reduce carbon emissions. Tackle the easy easier challenges, get them solved and the solutions deployed, and concentrate on the more difficult challenges. Despite all the evidence for what to do (re stationary energy), we don’t seem to be able to get the easier tasks resolved. If we can’t seem do the easier tasks, do you think we can solve the more difficult challenges (effectively and in time)? New analysis on energy storage technologies commissioned by the Australian Renewable Energy Agency suggests that the cost of storage is lower than most people might think. • CST systems start to appear competitive from about six hours of installed storage and upwards. The higher LCOEs for short durations of storage reflect the relatively high installed cost of power related components, while the drop to lower values for longer durations reflects the low cost per stored energy of the molten salt system. • There is a minimum in LCOE in the range of 15 to 20 hours of storage, however systems with less storage may be preferred to target generation in peak periods. • CST with molten salt storage has only been applied commercially since 2006. Since then it has shown an average compound growth rate of deployment around 40%/year, although this is very dependent on the policy settings of the countries that have deployed it. Whilst this growth rate has slowed the likelihood of cost reduction remains high. Households and businesses face growing uncertainty over obtaining energy bill relief as wholesale power costs rise by as much as 26 per cent because of the drought, gas prices and policy uncertainty. Craig Emerson’s “Venezuelan comparison” may not be too far off the mark. Other options for providing similar benefits to dispatchable renewable generation include new gas-fired power generation, demand response measures and controlled curtailment of PV or wind. The Finkel Review and other sources quote LCOEs for new build gas at around $145/MWh. This obviously depends on the future cost of gas and the capacity factor that plants are operated at. It would appear however that the dispatchable renewable generation options considered offer cost of energy very much comparable to this without the fuel and carbon price risks. And as I’ve said before, gas isn’t going to get cheaper – a post- ‘peak gas’ world will likely emerge soon, so gas will become scarce and unaffordable. Stationary energy is the easier “low hanging fruit”. Fine to start with the easier tasks. But the PM and several Ministers are pretending that we will “meet our Paris targets in a canter”. As Brian, you, and many public commentators keep emphasising, it’s NOT correct, and the smokescreen (no pun intended) helps no-one at all. Least of all energy purchasers. The Liddell Continuance Bill 2018 with associated memoranda, regulations, etc., and try its chances on that much more restricted and specific question? Not a good idea at all, IMHO, but it may appeal to a few of their back benchers. The Government is now mortally bleeding from Abbotts blood oath. It has been anemic for awhile, but removing the Turnbull compression bandage has progressed it to the terminal stage. Will be interesting to see their exit strategy. Guess some cushy industry advisor job sounds good. Yeah, na, not my favourite Nation but as a Nation Venezuela has immense potential. On ScoMo and price fixing, another Government intervention into a market to attempt to correct failings of other Government interventions never ends well, just compounds problems. The Liberals Party have gone so far from what they supposedly stand for they need a good hard dose of Labor in power to find out what doesn’t work again. I’ve never voted Lib and see no reason to start now. Favourite nation to write about, not to live in, Jumpy……. Why is Mr Morrison the best Liberal leader since JW Howard? But the industry shouldn’t get complacent, warned Robert Clarke of energy industry research and consulting group Wood Mackenzie. Cracks already are starting to emerge in the optimistic forecasts of how much these shale formations can produce, which is a bad sign for turning around the industry’s struggling finances. Why is this significant? In 2017, USA was the world’s largest oil and gas producer (and consumer), per BP Statistical Review of World Energy 2018. The growth in oil and gas production in the US is due to shale oil and gas production over the last decade. A substantial decline in US oil and gas production is likely to lead to a global decline in oil and gas supply. higher oil prices all around the globe..
We used to explain that sort of effect “The Law of Supply and Demand”. Perhaps we aren’t near “peak”? I hesitate to suggest that the Law of S&D has been repealed. Any comments you might have will be read with interest. The growth in oil and gas production in the US is due to shale oil and gas production over the last decade. 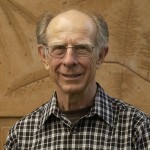 So if the forecasts about how much the these shale formations can produce are optimistic, then the world may have a problem with declining oil supplies, dependent upon how big a decline there is in US shale oil (and gas) production (and when) and whether the rest of the world can compensate by boosting oil production. If the rest of the world cannot compensate then we all have a problem, unless humanity rapidly reduces our dependency on oil. On top of this are the potential consequences of Iran oil sanctions. The US Energy Information Administration publishes stats at regular intervals – see these stats for international petroleum (up to July 2018). Has demand for oil stopped rising? Is oil production approaching a peak? Has it plateaued? Any other conclusions you wish to enunciate? Australian software billionaire Mike Cannon-Brookes has accused Prime Minister Scott Morrison of being dishonest over the cause of rising power bills, as he called on supporters of clean energy to get behind his “Fair Dinkum Power” movement. While the Australian coal industry and its lobbyists continue to maintain that the nation’s thermal coal export industry is booming on the back of record export revenues, the reality is very different. Exports have declined since 2015 and more contraction is expected. High export revenues entirely reflect current high prices which are themselves partially a result of declining investment in thermal coal mining. In short, current high coal prices do not indicate a strong and growing industry, but instead just the opposite: growing concerns over the long-term viability of the industry. The release of the report is very well timed for the Independent Planning Commission NSW public meeting in Mudgee next Wednesday (Nov 7) for the Bylong Coal Project Determination. The Bylong Coal Project is a ‘greenfield’ open cut and underground coal mine in a valley region that has been historically predominantly agricultural. The area includes Tarwyn Park, where pioneer conservation farmer Peter Andrews, has developed an example of ‘Natural Sequence Farming’. ScoMo is at risk of becoming electorally irrelevant. Yesterday I attended the Independent Planning Commission NSW public meeting concerning the Bylong Coal Project Determination at the Parklands Resort & Conference Centre near Mudgee NSW. There were TV crews and reporters present earlier in the morning but I didn’t see any evidence of media staying till the end (5:26pm). Presumably they all had filing deadlines to meet. There were also police in attendance. The auditorium contained hundreds of people earlier in the day. After the (12:52pm – 01:27pm) lunch break, I estimate there were perhaps less than 100 people with numbers dwindling further after the 3:32pm 10 minute break. There were 61 registered speakers scheduled (with some out of listed sequence by speaker requests, due to other commitments). In my limited experience I think the number is unusually high, which suggests significant public interest and concern about the proposed project. The proponent spoke first, represented by 2 people. I counted 16 people expressly supporting the project (including 1 apparently unregistered speaker) – all apparently likely to gain some financial benefit from it with direct employment or business services expected to be derived from it. I counted 35 people expressly opposing the project – nearly all of them locals. I was one of the few ‘outsiders’. I counted 4 people that made comments about the project that apparently did not expressly support or oppose the project. I counted 5 speakers listed that were ‘no shows’ – it’s not unusual for some people to not follow through – it can be a stressful ordeal for some. A transcript of the proceedings is being prepared (based on an audio recording) and hopefully will be made publicly available soon on the IPCN website. Individuals were only allocated 5 minutes to speak, although this wasn’t strictly enforced.